Regular oral hygiene is crucial to the long-term health of the teeth, gums and under-lying bone. It is no longer the case that growing old means you will lose your teeth. At our dental practices, the dentists recommend twice yearly appointment with the dental hygienist for optimum oral health. Regular cleaning, as well as deeper scaling and root-planing (cleaning under the gums), removes plaque (tartar) and associated bacteria. This helps prevent decay as well as gum disease (gingivitis), and bone loss (periodontal disease), the major cause of tooth loss. Regular hygiene appointments help maintain teeth for life. In cases where oral hygiene is very good, the dentist may clean the teeth. 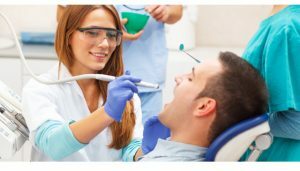 In more severe cases, or where there is a medical need, the dentist will recommend more specialist cleaning (with the hygienist). For those with sensitive teeth or those requiring root-planing, the hygienist is happy to provide local anaesthesia. Surprisingly more teeth are lost due to gum disease than tooth decay. Regular visits to the hygienist will help to improve dental health and prevent gum disease, bleeding gums and dental decay.  Our fully qualified hygienists’ at Premier Dental will clean and polish your teeth and explain how to care for your teeth and gums on a day to day basis. They will also offer advice for the care of your children’s teeth.